How Is My Golf Index Calculated? The Handicap System is not hard to understand, but there are many miss-conceptions about how it’s calculated and how Players get that Number. We wanted to share some clarifying points. To begin, you should know that the Handicap Index is intended to represent a golfer’s potential ability. Therefore, it is NOT calculated using the Score Average. 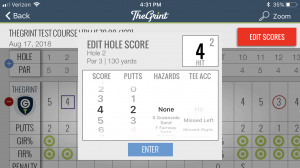 The Handicap IS calculated using the Handicap Differentials of your best rounds. So, the more Scores you have uploaded to your TheGrint Account, the more accurate your Handicap Index will be. 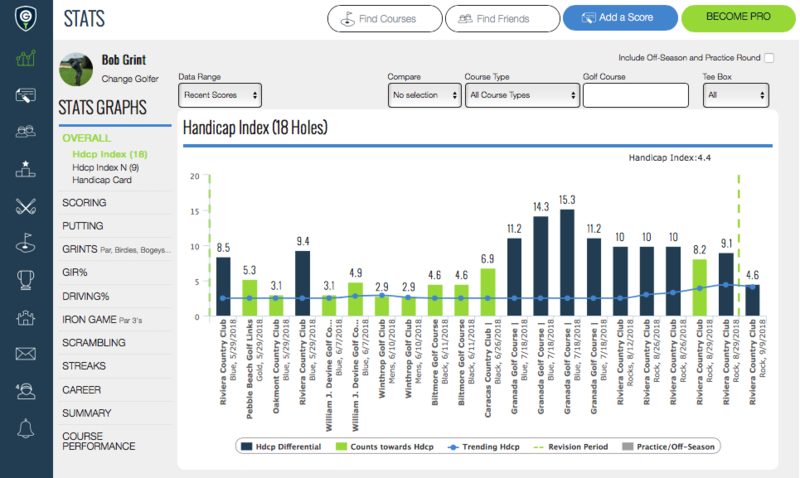 And once you have 20 or more Scores uploaded, the Handicap will use ONLY the Lowest 10 Handicap Differentials out of your last 20 Scores you uploaded. After those Differentials are calculated you average them and then Multiply them by 96% . And that is your TheGrint Golf Handicap ! 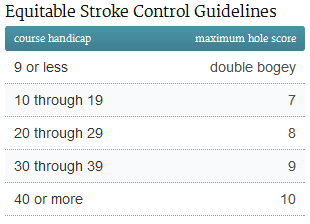 Another important part of the Handicap is the ESC “Equitable Stroke Control”. 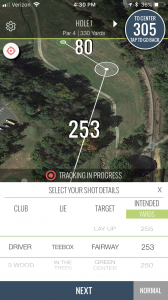 How is your Handicap Index calculated if you have less than 20 Rounds uploaded? But remember, we do all those calculations automatically. All you have to do is upload your Scores to your TheGrint Account. We do the rest! To show you an example, we will use Mr. Bob Grint’s scoring record! 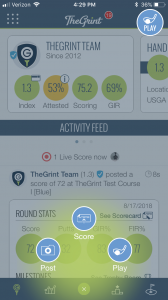 The easiest way for you to see the Scores that are being used to calculate your Handicap is to go to the Stats Section on the Website and see the Green Bars (those are the lowest Handicap Differentials out of all of your latest Scores). His Handicap Index is 4.4 (pretty good, right?). 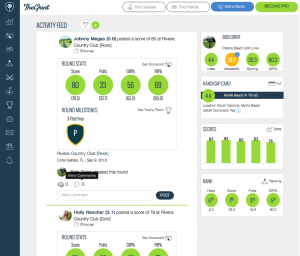 One more thing, you might have seen the Attest Feature for your Scores. 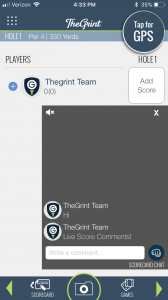 This feature allows you to have your Scores Attested by other Grinters. By having scores attested, it shows that your Handicap is legit and that what you played was witnessed by another Golfer. This Attest doesn’t change your Handicap Compliance or doesn’t make it Non-Official. 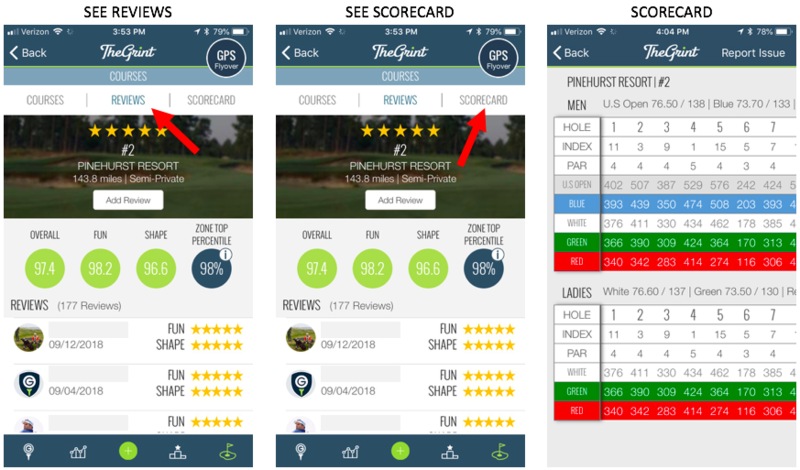 It just shows that your Scores are “verified” by other golfers. At the end, you don’t have to know all this, we do the work for you anyway… so, all you have to do is upload your Scores or send them to us through the SPS Service (Scorecard Picture Service Learn More Here). Any questions, you can e-mail us to contactus@thegrint.com, we will help you out as fast as we can. 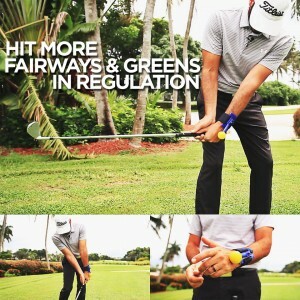 Do you need to hit more fairways and greens in regulation? 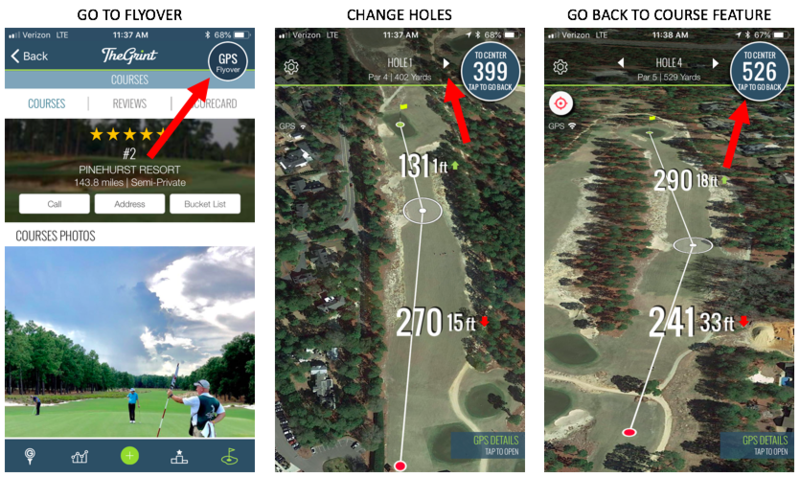 In this series of blog posts we partnered with the folks at Total Golf Trainer Arm to bring you videos and content that should help you improve your game. 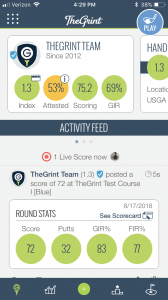 You now look at your TheGrint performance data constantly, but what can you do about it. Well here is a starting point. This content is sponsored, but very useful. In this first blog post we will talk about hitting more fairways and greens. And it all starts with Clubface Control. The biggest factor to miss-hitting shots (topping, chunking, slices and hooks) is extreme open or closed clubface. PGA professionals have a habit before they hit the ball of going half way back or parallel to the ground, stopping and looking back to check the clubface before every shot. The correct positioning of the lead and trail wrists can help solve a variety of swing faults, helping you achieve a flat lead wrist position resulting in forward shaft lean at impact, establish powerful lag in the downswing, and consistently repeat crisp contact. It doesn’t matter how fast you swing or how solid you hit the ball, without a square clubface the ball will never go in the direction you want. Golf is a game of control and in order to control the golf ball you must first learn how to control the clubface. But do you train your wrists? There are many tools out there. In this series we will use the Total Golf Trainer Arm for teaching purposes. This tool can help golfers achieve the ideal wrist, elbow and arm positions throughout the golf swing. We’ve tried it, it works really well. A flat lead wrist is something that should be practiced in all aspects of your game. In chipping a flat lead wrist controls the golf balls roll on the green, providing a better expectation in order to make more chip shots. 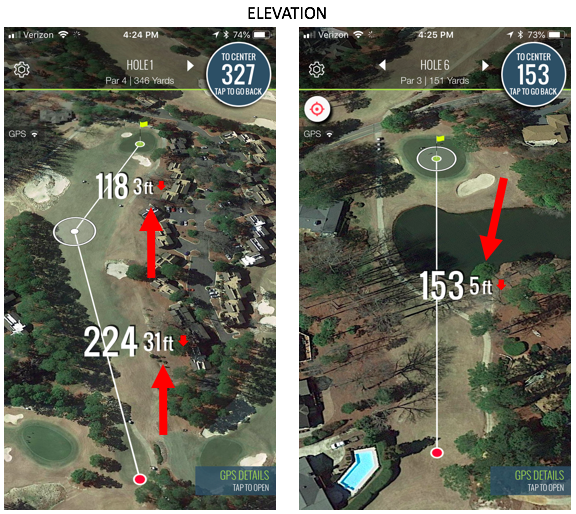 In a pitch shot the length of swing directly affects the distance your golf ball will travel. 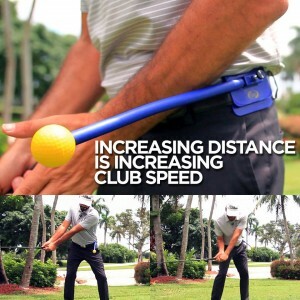 The Total Golf Trainer Arm will adjust to control the length of you swing, while maintaining a square clubface, making it easy to practice distance control for any length pitch shot. 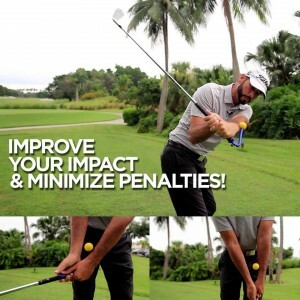 The focus of clubface control in chipping and pitching improving impact (which is the one fundamental every great golf swing has in common) will guarantee improve your full swing and get you to hit more fairways and greens in regulation! The device is adjustable, and easily attaches to your lead or trail wrist for positive feedback that you can feel. The Total Golf Trainer Arm has lead or trail wrist settings that provide feedback for a square clubface throughout the swing every time!! If you are looking to hit more fairways and greens in regulation, remember always fix clubface first. Check out the Video for this Drill here . It’s the sad time of the year again… The Off-Season is here! 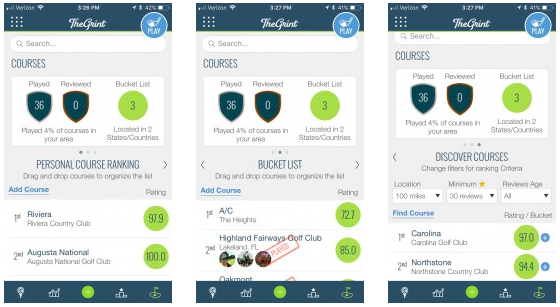 So we want to remind you how the off-season works and how to mark your Scores within TheGrint so they count or NOT towards your Golf Handicap. First of all, remember that the Golf Season depends on where you Play at a particular moment and not on where your Club (the one providing you with a USGA Handicap) is established. This means that if you live in Colorado, for example, and you come down to Florida for vacations during Winter and play a few Rounds of Golf, those Scores would count towards your Handicap because in Florida the Golf Season is Year-Round; even though, in Colorado the Season is between March 15th and November 14th. The good news is that if you keep your Handicap with TheGrint, you will always have an Active community. If you live in a year-round warm weather state, you can keep tracking your scores. But if you are in one of those States where there is an Inactive Season you should mark your scores as “Off Season” (if you are able to go out and play a Round). 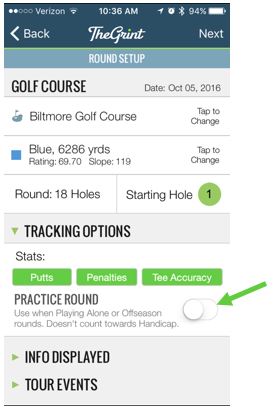 On iOS and Android that option is on the Round Setup Screen before you start tracking your Score, under the Tracking Options. Select that option and then continue setting up your Round. You can also upload your Score through the Website and select the Option for Off-Season at the bottom of the Box where you upload your Score. Select that Box and then click Submit. Those playing in an area that is inactive should select this Option (Off-Season) before entering/uploading a Score. So if you live in a State that has Off-Season Golf, make sure you know the Dates of that Off-Season so you can be aware of your Scores and don’t mess your Handicap. You can always get more information on the USGA Website. Everyday more and more golfers realize why having a Handicap Index is so important, but Do you know why? We have put together the 10 most compelling reason per our staff… and yes, we are avid golfers in our office, where Handicap discussion take place every single day. Because every golfer deserves to know its own potential in Golf. One thing is to believe that you are good or even great at golf, and another is to have a trustable measure, like your golf handicap, that confirms how good you are. And this is thru not only for you but for everyone in Golf. To make a fun game even more fun! Enabling players of different levels to compete on an equitable basis is the common response. But most importantly to earn the right to brag about it! 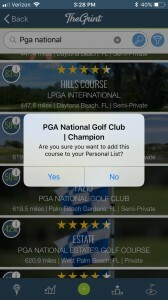 Only you golf handicap will even the terrain among players. Because high scores are forgotten! It is not like your Credit Score, where a missed payment or hard inquired will stay with you forever. 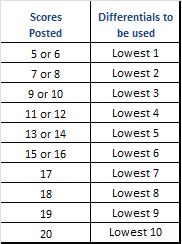 The USGA golf handicap formula only considers the best 10 Scores of the last 20 rounds. So, it is another excuse to play more. To show how a player’s performance improves/deteriorates in time. The game of golf has so many variables that make it impossible for a player to follow-up with his/her progress. 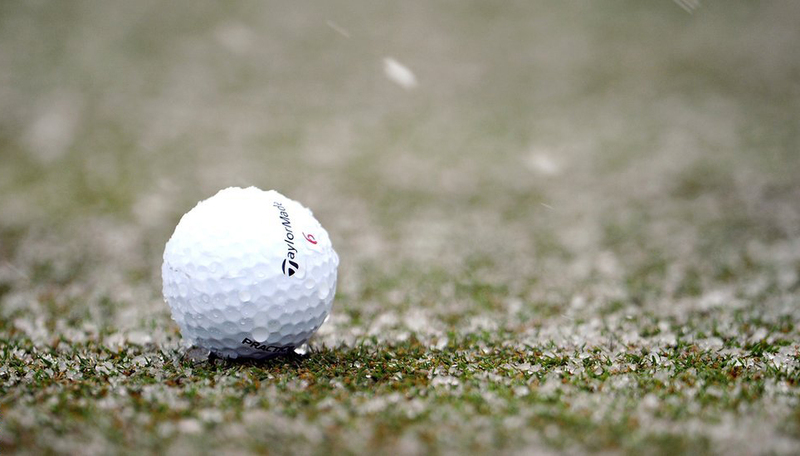 Different course, different weather, different playing times, different groups, etc. At the end of the day only your golf handicap will know if you are improving in time. Because every golf course is different! The Course Handicap is the Golfer’s Index adjusted to the course’s difficulty, so good bye to your partner Joe’s excuses about blaming his performance on the difficulty of the courses he plays. The golf handicap will take that soft measure out of the discussion. Because any true golfer is driven by Pride! We’re sure you have enough of your friends talking about how fast they ran their last marathon or how great they are at tennis, etc… If you have a golf handicap you will have something to show off too. Because everyone in golf likes to bet! With your golf handicap, you can win bets while preserving friendships. Handicap takes abstract matters out of the discussion for competitive players. You want to give or get the right number of strokes and beat your friends on equal conditions. 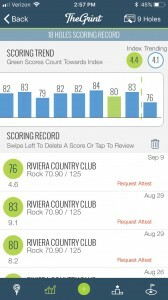 So you can have an answer to that question; What is your golf handicap? You know that the first question anyone asks when you are a golfer is; What’s your handicap? Be prepared to open the discussion and show your pride, or maybe not depending on your performance. You know that to participate in Golf tournament you need to have a golf handicap, so you better start keeping your handicap updated. There are plenty of Golf Apps for that. Ok, it is not typically free. 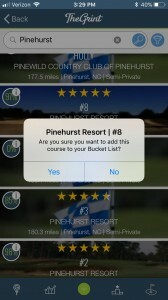 But when you use TheGrint Golf App it is. So no more excuses. Let’s imagine The Hunger Games of Golf…. Where surviving depends on your golf performance by it self. You win, you live. You lose, you die. Ok many avid golfers already feel that way. So what if you had to compete in these Hunger Games without a golf handicap. Would you do it? It doesn’t sound fun anymore, right? One of the best things of Golf is that you can play with your friends and everybody regardless of skill level. That is why we need that golf equalizer. 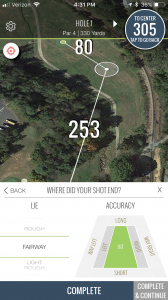 That is why we need the Golf Handicap App! So now that we know the intention of the Golf Handicap system. Why is that important? Most golfers would agree that the fun in golf is not only about the score. Most would agree that what makes “hitting a ball with a stick” fun is sharing outdoors with friends, playing and competing in this beautiful and strategic game. So why complicate our lives calculating a freaking number with such a complicated formula? Well, for starters part of the fun in golf is in measuring your performance and in knowing how good or bad you are. We always step onto the first tee hoping to play our best, and the USGA Handicap Index allows us to define “our best”. So we can realize what is a great round or what is a lousy round based on facts, not feelings. You would lose a lot of friends on the course if you didn’t have a golf handicap. I for one would hate to pay for those cold beers at the end of every game. After all, the 19th hole is an important part of the game, so it better be a friendly moment for everyone that played. The Golf Handicap is like having an invisible referee in your foursome every time you go out to play. The Handicap will blow the final whistle and declare a winner at the end of each game so you won’t have to. If you are a great player, Why would someone even want compete with you if they know that you will ALWAYS beat them? The Handicap allow both of you to play at the same level so everyone will have an incentive to play with you again. Bottom line, let’s invite the Handicap Index to this party. Let’s allow it to be the referee of golf, the judge, the one who sets the rules and determine how many strokes each player receives. The one who keeps friendships and good times on the golf course!